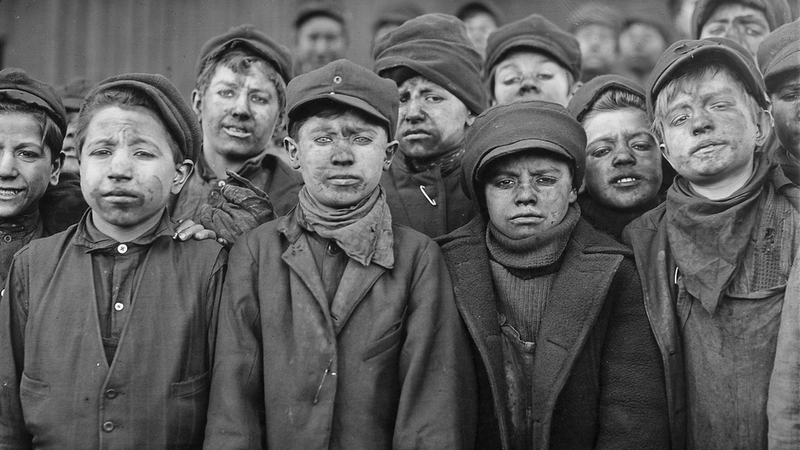 Breaker Boys – young boys employed in US coalfields to break up large lumps of coal with metal bars. The work was dangerous and back-breaking. Photo: Lewis W. Hine via Wikimedia. Julianna Minihan will present a paper entitled “Slums, Factories and Child Labour – Florence Kelley 1859-1932″ at the Maldron Hotel, Cork on the opening day of the Spirit of Mother Jones festival, Tuesday 1st August at 3.00pm. Mother Jones has always been associated with campaigns again child labour and the famous March of the Mill Children in 1903, which she organised, made national headlines. However many other courageous women and men were also active on this issue, among them Florence Kelley, a contemporary of Mother Jones. Throughout her life, Florence Kelley questioned why social justice, and the politics of social justice, appealed more to the middle classes than to the poorer classes and working people. She wrote and translated books and articles, and engaged in public speaking on social justice issues to educate people. At the same time she seriously tackled poverty, exploitation, and particularly the plight of working children in her daily work. 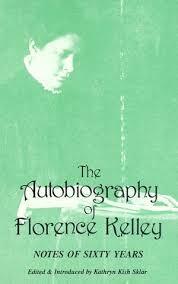 Florence Kelley was born in Philadelphia in 1859; (one of her Kelly ancestors emigrated from Derry in the latter part of the 1600’s). 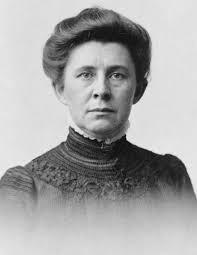 She travelled in Europe in 1883 with relatives, and visited industries in the English midlands with her father, who was a member of the American House of Representatives. Soon afterwards she began studying at Zurich University, the first European University to allow men and women to study together. She studied History, Economics, Politics and Socialism and met with many Socialists. She wrote to Frederick Engels, asking his permission to translate his German-language book “The Condition of the Working Class in England”. He agreed, and it was published. She married and had three children, but eventually divorced and got custody of the children. She published some articles in the 1880’s, stating that the employment of children under fourteen should be prohibited, and that schooling should be compulsory and available for all children. She also wrote about the need for radical change in society, but her main concern was always child labour. She was involved in the Settlement House movement, and after her separation from her husband, she worked with Hull House in the slums in Chicago from the early 1890’s. As a result of her work, she was appointed Chief factory inspector in Chicago, the first woman to have such a job in America. She was very effective at reducing the amount of child labour, however, a new Governor of Illinois fired her and her team, replacing her with someone who would not prosecute unscrupulous factory owners and employers. She went on to lead the National Consumers League, an early type of ‘Fair Trade’ organization, for thirty years. Goods produced without employing child labour, and fulfilling certain other conditions, were awarded National Consumer League Labels. Shoppers were encouraged to purchase such goods, and manufacturers were encouraged to have their goods qualify for the labels. Florence Kelley died in 1932, and Laws prohibiting child labour were introduced after her death. Julianna Minihan works in non-traditional employment in Cork. She researches human rights, equality & social justice in the 1800’s. 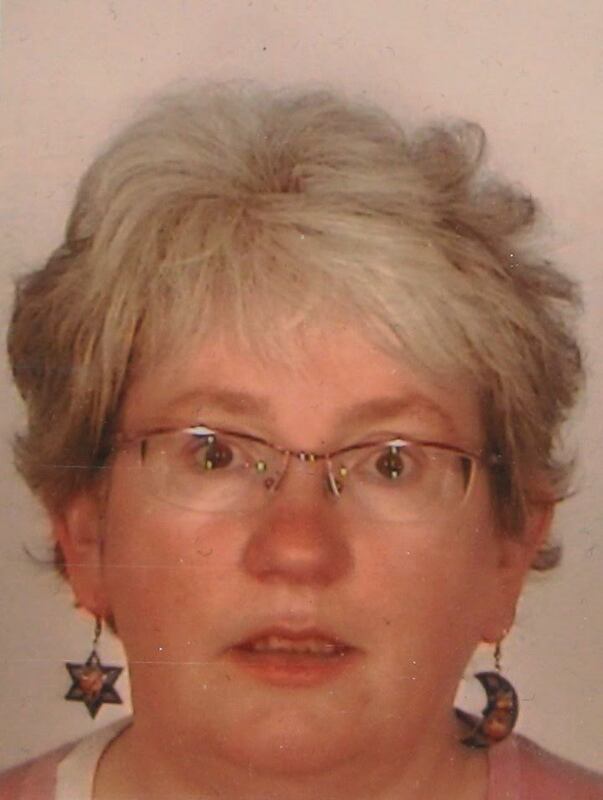 She is a fluent Irish speaker and has a keen interest in Irish place names and in Quaker history. Julianna will discuss child labour in America on Tuesday August 1st 2017 at 3pm at the Maldron Hotel in the context of the pioneering work of social reformer Florence Kelley.